What are your mtb training goals? If you’ve learned the basics, you’re probably looking to upgrade your skills and fitness. Want to enter a race, go bikepacking or master the local black diamonds? Or maybe you just want to show off for your weekend riding group? 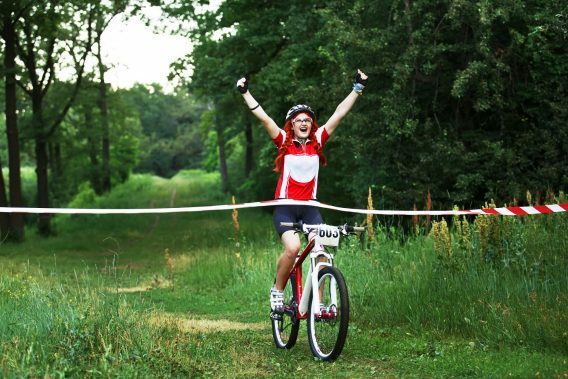 No matter the reason, you’ll need to train your cardio, endurance and technical skills to improve as a mountain biker. Mix up your training rides with some obstacles and off-the-bike exercising to give your skills a boost. One of our goals at The Adventure Junkies is to share our love of mountain biking. 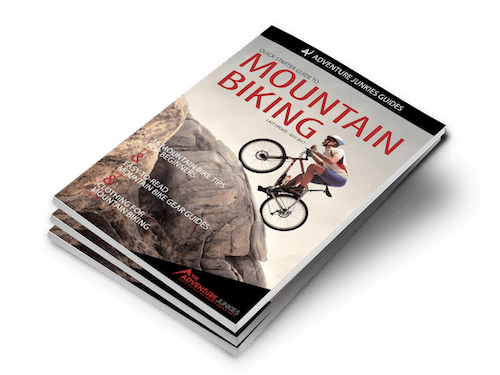 In this guide, we’ll help you increase your speed and agility to get the most out of your mountain bike. 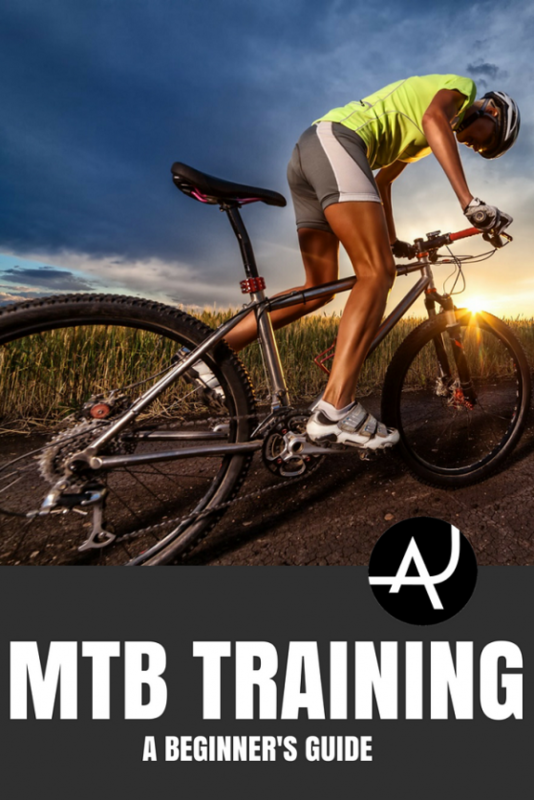 There are many components to mountain bike training. Trainable skills include aerobic fitness, strength, balance and agility, technique and mental fortitude. Being physically fit and healthy will improve every aspect of your mountain biking skills, ranging from simple riding to complex skills. While just going out and mountain biking will improve your fitness, there are other techniques you can use to vary your routine or squeeze in extra training time. Why cross-train? First, no single sport works every muscle group or skill. Second, too much of the same thing can become boring or even cause repetition injuries. If you’re recovering from overuse or looking to mix it up, try some of these other activities. Road biking and mountain biking have a lot in common, and practicing one can improve the other. Outside of technique, the biggest difference is endurance. Road cycling tends to consist of long, steady efforts. Mountain biking is more staccato. A short, intense, effort followed by several minutes of easier flow. This builds muscle, but not endurance. These differences are explained on Training Peaks by mountain bike racer Mike Schultz. He created an easy-to-follow schedule of road bike exercises to build off-road endurance. Cycling is a great low-impact workout, but this can cause other problems. 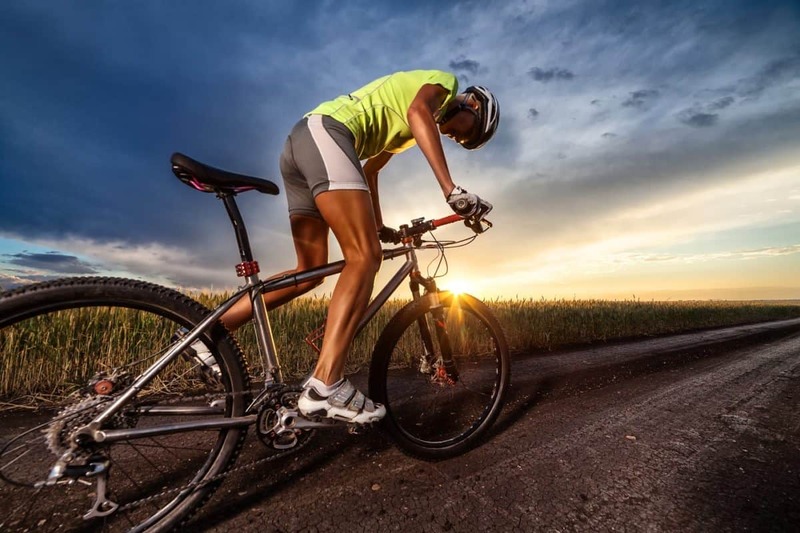 The New York Times reports cyclists have lower bone density than other athletes. Bone density only increases from impact exercising, like running or weight-lifting. Long low-impact endurance efforts deplete minerals and strengths from the bone. Thankfully, running is a great way to improve bone density, even for serious cyclists. Casual cyclists aren’t in any danger, but you may want to incorporate running into your training. Fitness blog Breaking Muscle has a great running workout to help any cyclist improve their power and fitness. If you need an off-season sport, swimming is a great contender. Swimming involves the whole body, can be aerobic or anaerobic and can be done easily indoors. The low impact lets you do it even if you have other injuries, and it’s a great way to build endurance with long, steady efforts. Wiggle, the British sports retailer, offers a full range of training programs and plans for cyclists looking to swim. Fitness training will help you spin the pedals quicker in easier gears, but strength training will help you turn the harder gears. This will make it easier to mash up a climb or race across a flat. Mountain biking requires upper and lower body strength. The riding is jarring, and impacts will be absorbed by muscle groups throughout your body. Furthermore, you’ll need to lift and pull a 30- to 35-pound bike up and down the trails. According to James Wilson, mountain bike coach and trainer, most mountain bikers make the mistake of doing too many repetitions with light weights for their training. He recorded a podcast explaining why you should be doing five or less repetitions for strength training. For more detailed exercises, the team at Bodybuilding.com has broken down exercises for each type of mtb rider. In addition to theory, they’ve provided several example routines to help you get started. If you don’t belong to a gym or want to invest in weights, you can still get stronger. Strength training doesn’t just improve climbing, though. It can also be used to increase your downhill speed. In the following video from Global Mountain Biking Network, racer Scott Laughland demonstrates seven body weight exercises you can do to improve your descending. For another take on body weight strength training, see this article on Pink Bike, with a routine consisting of four exercises you may not have heard of before. The entire circuit is pretty quick and should be perfect for anyone trying to improve in their spare time. Different from most strength training, core training will strengthen the abdominal muscles, obliques, and laterals, improving overall stability. A stronger core will make you a more efficient and agile rider, and will even improve your recovery time from hard efforts. According to this practical training guide from Bicycling, these are the most important muscles to train, and neglecting them will cause frustration and slowness. Global Mountain Bike Network has a 6-minute workout, explained in the following video. You can follow their workout to improve your core, without equipment, in the comfort of home. Physical training is important, but most coaches rate mental toughness as being the deciding factor for elite athletes. Sandy Gordon, a professor of sports and exercise psychology, explains the concept in a short interview with the British Psychological Society. A new study has confirmed the theory, showing how several minutes of meditation and mindfulness per day give athletes an edge in competition. Writing on Entrepreneur, former NFL linebacker Matt Mayberry shares his two techniques for building mental toughness. The BBC has an in-depth series on mental resilience and sports performance, presented via their iWonder platform. The program offers practical tips and theory, and explores the brain differences between elite athletes and regular folks. You’ve probably grasped the fundamentals by now, but they can always be improved. Cornering, shifting, braking; these basic skills are a crucial factor in your overall speed, and it’s easy to develop bad habits that will slow you down over time. The MTBProject has an incredibly detailed article on cornering, with a series of drills that will make you turn like a pro. The best part is you can do these drills anywhere, even in your driveway. For an on-trail demonstration, Bike Radar recorded a video with skills training company Pedal Progression. Most new riders use the wrong gears when they climb, and improving your shifting might be the single greatest improvement you can make when climbing. Bicycling has a guide to smart shifting, walking through a number of scenarios, to help you improve this skill. Keep these scenarios in mind on every ride, and ride the same hills, noting how you fare in different gears. Get used to feeling how the bike shifts in different situations, and strive to shift smoothly and efficiently, and you should make big gains. Efficiency is crucial for mountain biking, and braking is the technique where we sacrifice most of our efficiency. 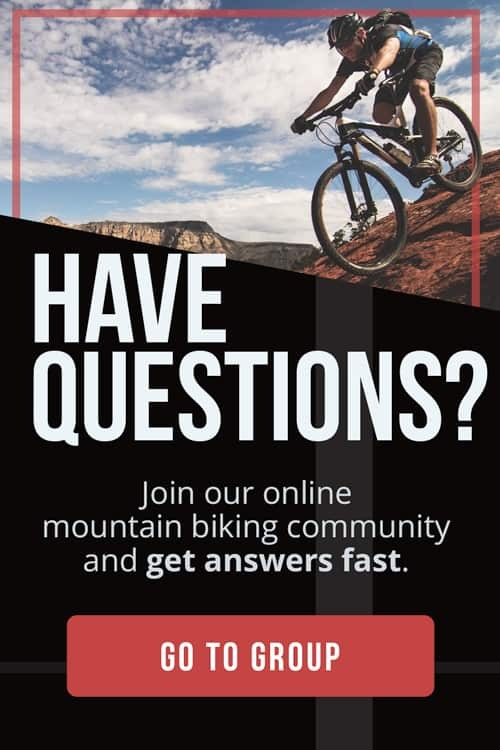 According to Singletracks.com, it’s one of the most overlooked techniques in the repertoire of mountain bikers. Technical skills encompass an assortment of practices and techniques. Weighting, unweighting, bunny hopping and pumping are a few we’ve written about. See our beginner’s guide for the basics of weighting, which will improve how you turn corners. We also have a dedicated guide to bunny hopping to skip obstacles and another for pumping. The last technique turns obstacles into speed boosts like a real-life Mario Kart game. There are a lot of other techniques too. Practice the skills on this list from MTB Techniques whenever you ride. There are even some backyard drills you can do before you hit the trails. The best way to keep improving on a mountain bike is to have fun riding. If you enjoy the sport, you’ll work harder and make the most of your time. Ride with friends, especially ones who are better than you, and solicit advice, tips, and tricks. Most of all, make it an adventure. Go outside your comfort zone and skip grinding repetition. You’ll find you enjoy it more when you keep seeking new challenges, new trails and new adventures.